Reigning champions TEKNO have announced their driver line up for the Liqui-Moly Bathurst 12hr, where they will again field two cars featuring six drivers that share a series of wins and experience at the Mount Panorama circuit. TEKNO will run the #1 & #59 McLaren 650S’ in the Endurance Race, with 3 drivers piloting each car. Car #1 will host Alvaro Parente, Rob Bell & Come Ledogar, while Will Davison will be joined by Jonny Kane and Ben Barnicoat in Car #59. Alvaro Parente was apart of the winning TEKNO #59 entry from 2016, alongside team owner Jonathon Webb and Shane Van Gisbergen. 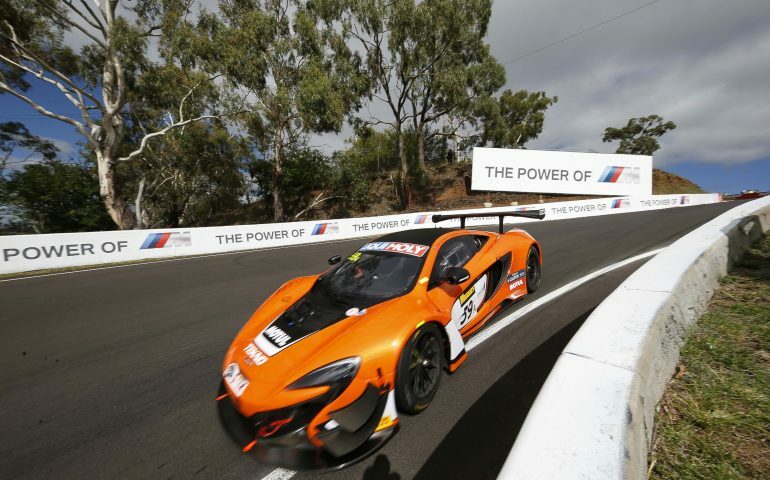 Rob Bell also finished a solid 8th for TEKNO in last year’s 12 Hour, and McLaren GT Factory Driver Come Ledogar will drive at Bathurst for the first time. Car #59’s Will Davison will harness his knowledge of the Mount Panorama Circuit, where he finished 8th in class in last year’s Bathurst 12 Hour, and also claimed the 2016 Supercars Bathurst 1000 crown for TEKNO. Davison is thrilled to be joined by experienced driver Jonny Kane and McLaren young driver Ben Barnicoat, who will both debut on the 6.213km circuit for the first time. “McLaren are bringing over five of their guys, so it’s the same as last year and anyone they bring out are at a very high level. It’s pretty exciting to join that fold. It’s something we’ve been working on and it’s all come together following last year,” Davison said. Davison has seen a series of recent successes with TEKNO at the Bathurst Circuit, and is excited to return to Mount Panorama. “With McLaren, we are definitely going to be contenders so it’s a pretty exciting way to start the year. “I’d love to test the car before but I did the race last year in the McLaren so it should come back to me relatively quickly. The cars are very different to Supercars but obviously the track knowledge is beneficial. I don’t have a huge amount of experience in GT cars but it should all even out with the other guys. “It’s a very competitive field with the best GT drivers in the world and the best Supercar drivers so it ends up pretty even.